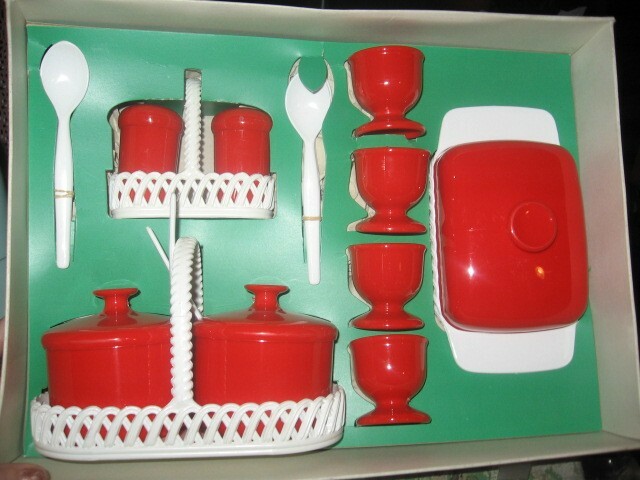 I like to collect vintage items that can still be used. 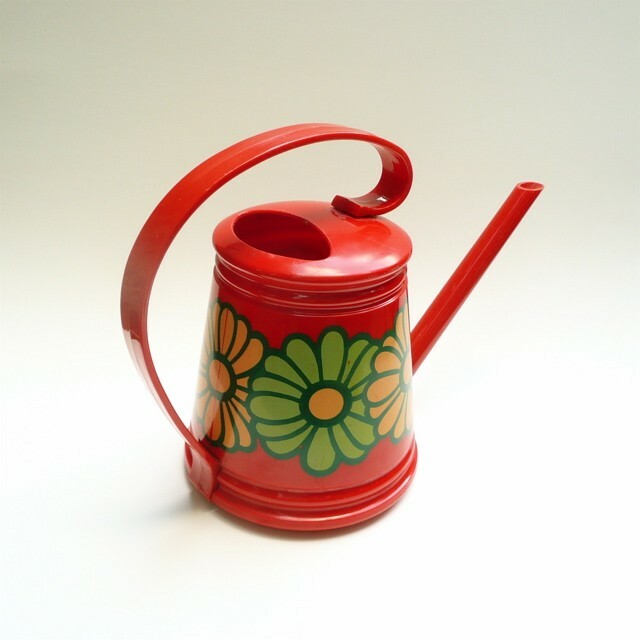 One of the most charming little vintage pieces I have that I use every week (kept near my kitchen sink, next to my vintage squirrel pottery planter turned sink caddy), is this lively red watering can. 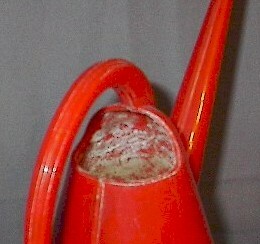 This particular plastic watering can is marked “EMSA, W. Germany, ges. gesch.” (ges. gesch. is short for gesetzlich geschützt and means Registered patent/design/trademark in German), on the bottom. From the ESMA logo, I can guesstimate that this watering pot was made after 1971. 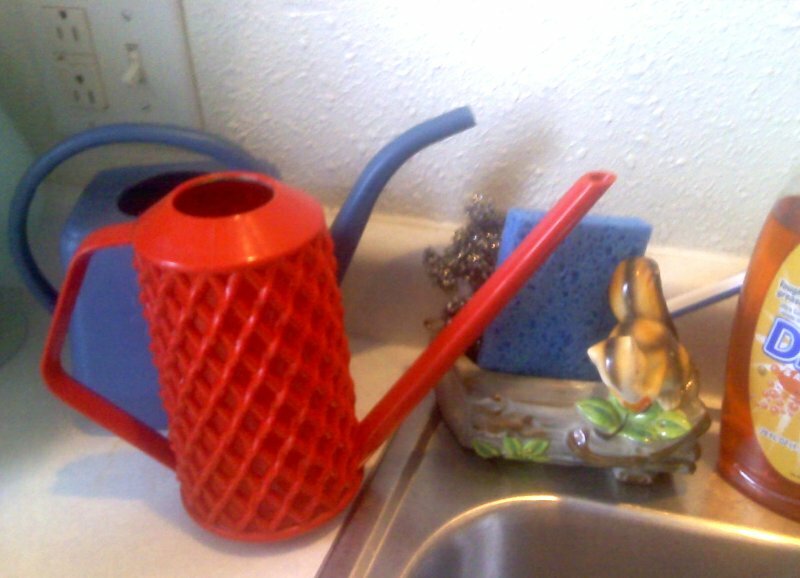 In any case, there’s just something so charming about this old plastic watering can… Maybe it’s just the vibrant red? But since it’s old and had a life before me, it had some signs of wear. Most troubling were the salt and mineral build-up inside the top and at the spout. 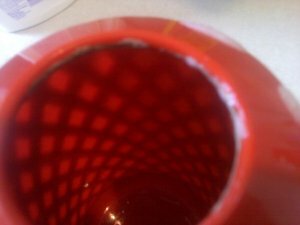 And, if you looked closely at the outside, you’d see white calcifications strewn here and there in the lattice work. 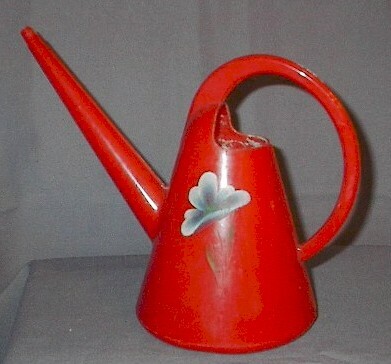 Now that it’s so clean, it makes me look for other vintage watering cans — plastic ones though, not the old metal watering cans that everyone, including Martha, seems to go ga-ga for. 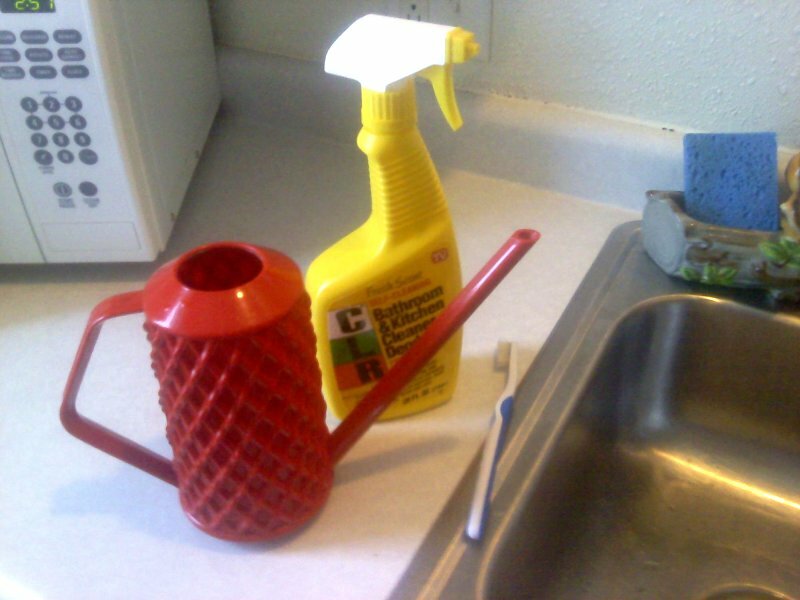 I like the size of the smaller plastic watering cans, made for watering houseplants. I like the idea of rescuing the less valuable, deemed disposable, plastic models. And did I mention I love that cheery red? But no watering cans. Yet. 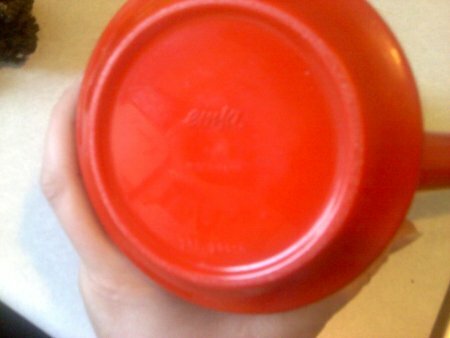 But it has such a build up of lime etc., that I fear the plastic will be too etched to really salvage it. Like all collectors, I continue to search.